i love the academy awards. first of all, they kick off my birthday season. secondly, they conjure fond memories of an oscar party where ryan, the guy i eventually married, hugged me goodbye just a little too long and made me blush for the first time. and third, dresses! so, even inspite of my outrage that the mcconnaissance eclipsed another overdue win for leo, the orchestra painfully rushed the incredible idina menzel, and the fact that every year the talking gets more boring (not you, ellen, you were awesome), i have to give a shout out to the superbowl of fashion. 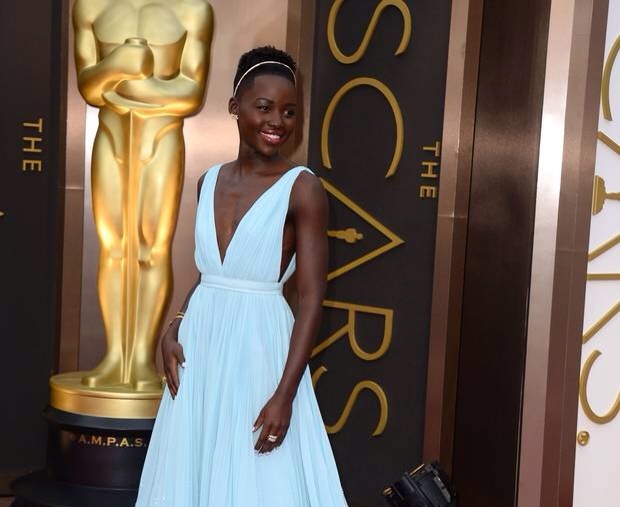 congratulations to the darling lupita nyong'o for her best supporting actress win and for being the hands down red carpet victress. 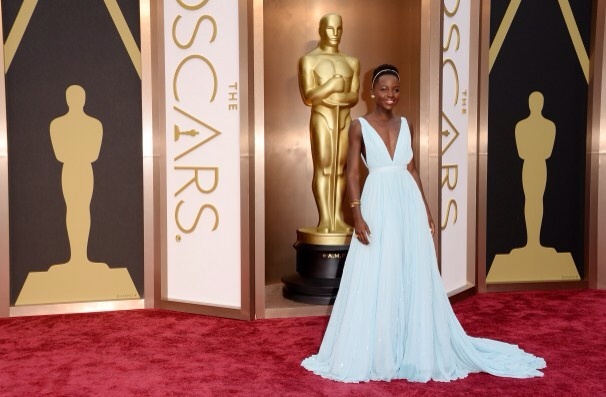 her stunning light blue gown, by prada, was all at once ethereal, modern, classic, daring, and romantic. delicate gold accessories, including a sweet little headband, were a perfect compliment. her exuberant acceptance speech and unrestrained delight made her all the more endearing to watch tonight. 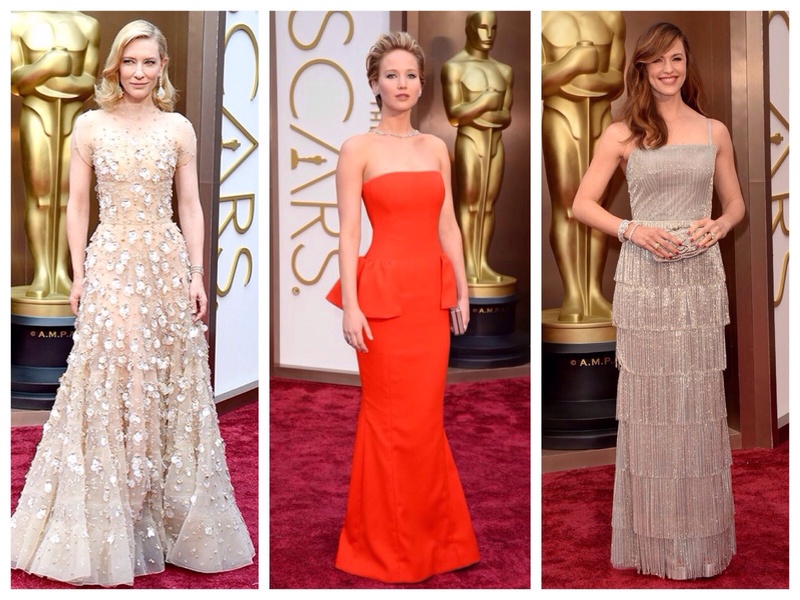 my red carpet runners up were the always-perfect cate blanchett, the epic and adorable jennifer lawrence, and a sparkling, gatsby-esque jennifer garner.